In my series of extended essays entitled “The War on White Australia” I described how Jewish activism was pivotal in ending the White Australia policy and initiating the mass non-White immigration that is rapidly transforming that nation. In addition, I showed how Jewish activism was instrumental in establishing multiculturalism as the ideological and legislative basis for social policy in Australia. Recently I explored the Jewish role in pushing for the enactment and extension of laws banning speech deemed contrary to their interests. 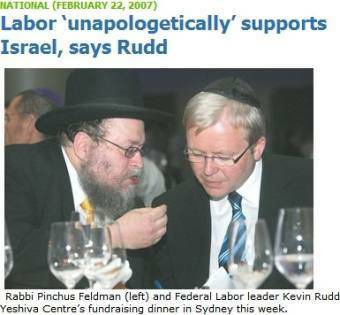 Given the profound impact of Jewish ethno-politics on the Australian nation, nobody will be surprised to learn that Jewish influence also extends to the determination of Australia’s foreign policy. Asked how the lobby achieved this influence he said: “I think party donations and a program of giving trips to MPs and journalists to Israel. But that’s not to condemn them. I mean, other interest groups do the same thing. But it needs to be highlighted because I think it reached a very unhealthy level. 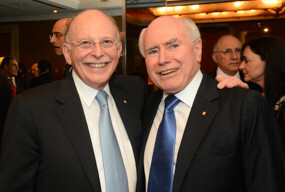 In his book Carr chronicles a bitter political fight in late 2012 with then-prime minister Julia Gillard over how Australia would vote in the 2012 UN General Assembly vote to recognize the Palestinians as a non-member state. Gillard [was] opposed, while her political rival at the time Kevin Rudd, and Carr himself, were in favor. Rudd, according to a report of the book in The Guardian, went to Carr to talk about the vote. During his 18 months as foreign minister, Mr Carr orchestrated a significant shift in the Australian government’s Middle East policy, swinging support behind Palestine at the United Nations. Standing up to Ms Gillard, who was staunchly pro-Israel, Mr Carr succeeded in forcing her to abandon her determination to oppose Palestine’s attempts to gain observer status at the UN. Ms Gillard’s leadership wobbled in the process. Mr Carr’s pro-Palestinian advocacy alienated many in Australia’s Jewish community, and some within his own party; and the publishing of his personal diaries is likely to inflame both the Australian Israel lobby and senior Israeli officials. In diary entries Mr Carr reveals just how deep his division with Ms Gillard went. 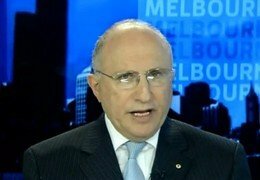 He complains that Ms Gillard would not even let him criticise Israeli West Bank settlements due to her fear it would anger Australia’s pro-Israel lobby — a reference to the Melbourne-based Australia/Israel & Jewish Affairs Council — which Mr Carr says had a direct line into the prime minister’s office. Particularly influential with regard to shaping Australian policy towards the Middle East is the Australia/Israel and Jewish Affairs Council. The AIJAC aggressively lobbies politicians, funds study tours to Israel for journalists and politicians, publishes a monthly magazine and highlights examples of what it calls “anti-Israel bias” in the media. “Just unpick for a moment what he’s saying. He’s talking about the Jewish lobby, he’s talking about a difference of opinion between him and the prime minister,” Mr Leibler told Lateline. “Why can’t they have a difference of opinion on a matter related to Israeli policy? “No, if there’s a difference of opinion … the prime minister has to be wrong because she’s controlled by the Jewish lobby. “Julia Gillard is an independent-thinking woman. She can come to her own conclusions without being influenced by the Jewish lobby,” he said. He says the council’s lobbying of governments is no different to other community organisations. “When we’ve got an issue which is a serious one, which needs to be raised, we haven’t had a problem in getting access to either ALP or Liberal prime ministers or foreign ministers and so it should be,” he said. Wertheim is disingenuous in claiming that “every community in the country” can advocate their views to government. The racial group who actually founded Australia and built it up into a successful and prosperous nation from scratch, are prohibited from openly organizing and advocating for their interests. This is, of course, principally due ultimately to the actions of anti-White Jewish activists like Wertheim and Leibler within the general context of the dominance of the intellectual left in academia and the elite media. 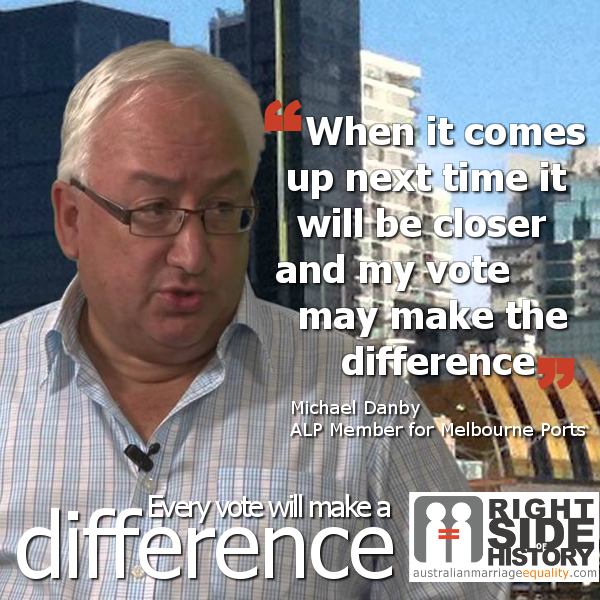 Carr’s former parliamentary colleague and Federal Labor and Jewish MP, Michael Danby (who is also the secretary of the Australia-Israel Parliamentary Friendship Group), described Carr’s views on the influence of the Israel lobby as “bigoted.” He said that in retrospect, it was a mistake for Gillard to bring Carr in as foreign minister — doubtless because Carr was not sufficiently submissive to the dictates of his fellow Zionists in the Jewish lobby. Mr Carr’s “performance” on 7.30 last night was “comical bordering on maniacal” and no lobby group in Australia has that kind of influence. “It’s laughable but I suppose in the current climate, as George Brandis says, it’s OK to be a bigot,” Mr Danby told the ABC’s Louise Yaxley. “No-one has that kind of influence. There are various people who have different views in Australian political life and Bob’s a big boy. He should be bigger than that. “It was just a silly comment in a silly interview. 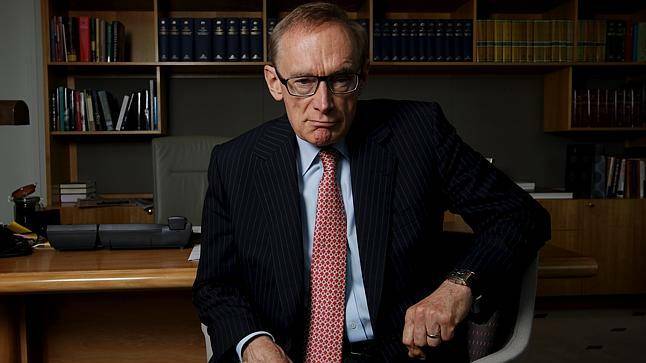 “People try and get their views expressed, but you know, Bob Carr’s view is a caricature. Very sad to see a premier of New South Wales stereotyping people like that. While I have little sympathy for Carr’s politics, he is to be strongly commended for this resistance and for speaking out about this aspect of Jewish power in Australia. [ii] Ibid., 146-147 & 149.